With my revelation last week about the lack of colour in winter causing me to go colour crazy in spring, I thought it best to go all out. 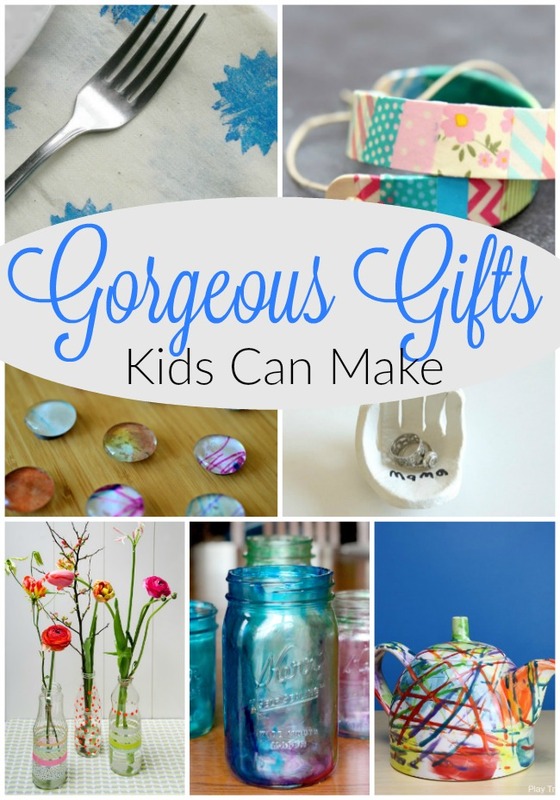 Why not find the most colourful crafts for kids around? I certainly didn’t need to look very far. 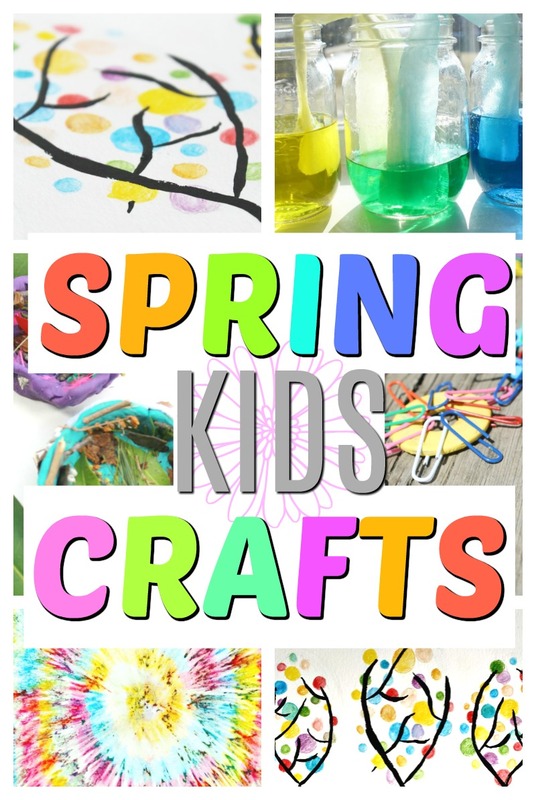 Turns out every single March I share oodles of colourful crafts for kids on this blog. I am a creature of habit, apparently. Anyways, I decided I should gather my 10 most favourite, most colourful of all activities and share them with you right here. Just in case you too didn’t realise that you need colour this time of year. Trust me friends. You do. If you lived close to me I’d be popping in with tulips. Flowers and colour, that is precisely what a Mama needs early Spring. 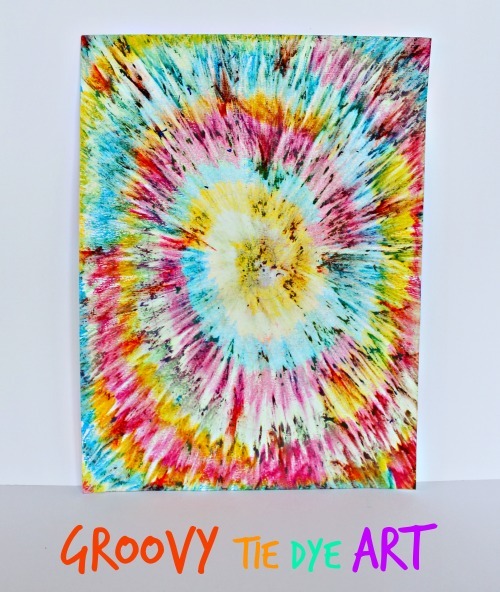 Groovy Tie-Dye Art: This colourful gem of a craft looks tricky, but don’t let the look of this art deceive you. It is SO SIMPLE! The effect is achieved with an eraser (of all things!) Any colours work, but the brighter the better for spring. Walking Water: Okay, I know this one is not actually a craft, but two things. First of all, it is so pretty and sunny and COOL that I had to share it with you. And secondly, once the water had “walked” you can lay the paper towel down to dry and create beautiful flowers or butterflies. Colourful Coffee Filter Flowers Turns out I went a bit colour batty early in this particular year, as the colourful crafts posts started to appear in early February. 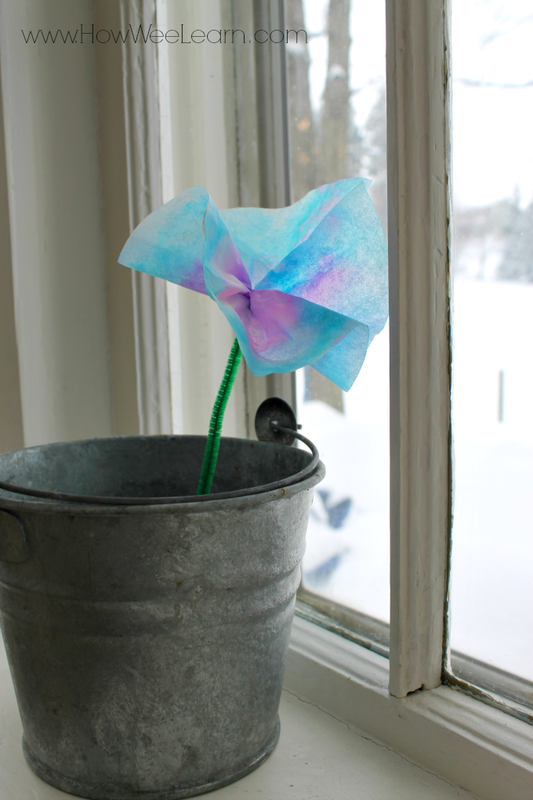 This flower craft was done one year for Valentine’s Day, but would be just as lovely for a Spring craft. It is so simple, using only markers and water – a great one for spur of the moment. Name Symmetry Butterflies I love playing with symmetry, and butterflies are an absolutely perfect craft for this to take place with. 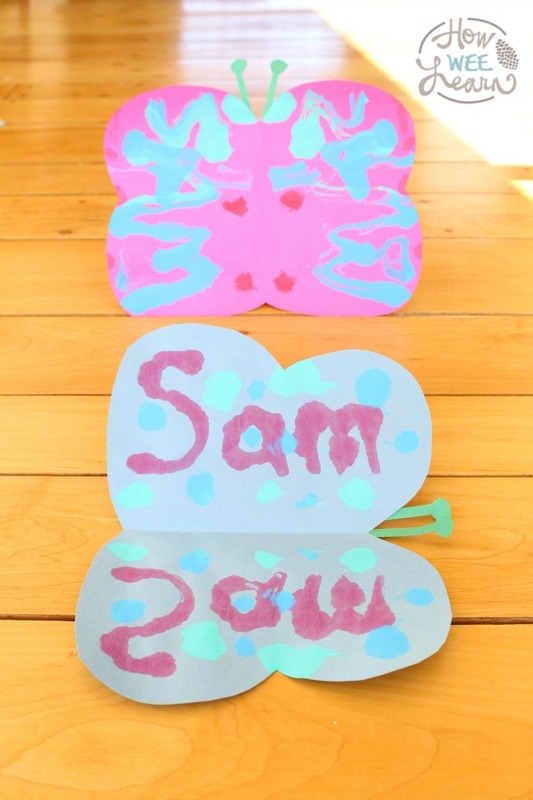 We made some cheery and educational name symmetry butterflies. It is so neat to look at a name upside down and backwards! Grab a mirror to really crank this activity up a notch. 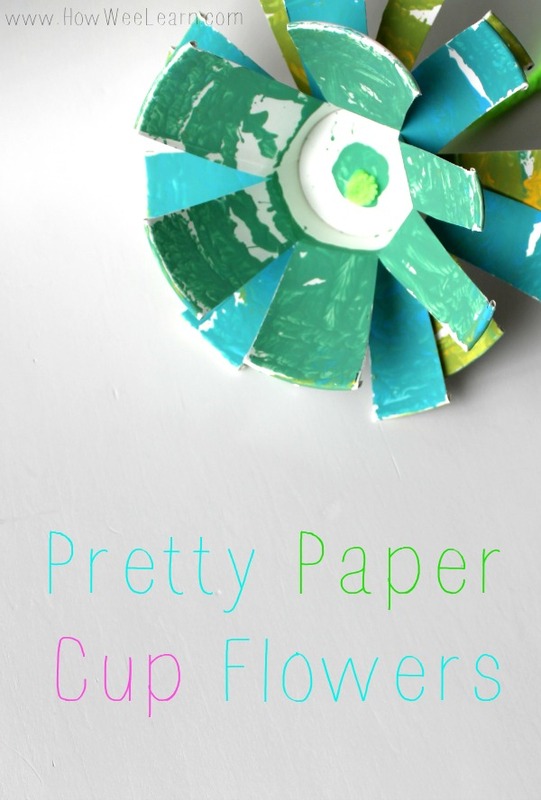 Pretty Paper Cup Flowers The process in this one is so fun! A little colourful paint in a paper cup and a marble. You can get into the whole idea of centrifugal force if you are feeling super inspired, or simply enjoy the spinning of the marbles. This colourful craft is super for strengthening little hands too, as cutting the paper cups is excellent for this. 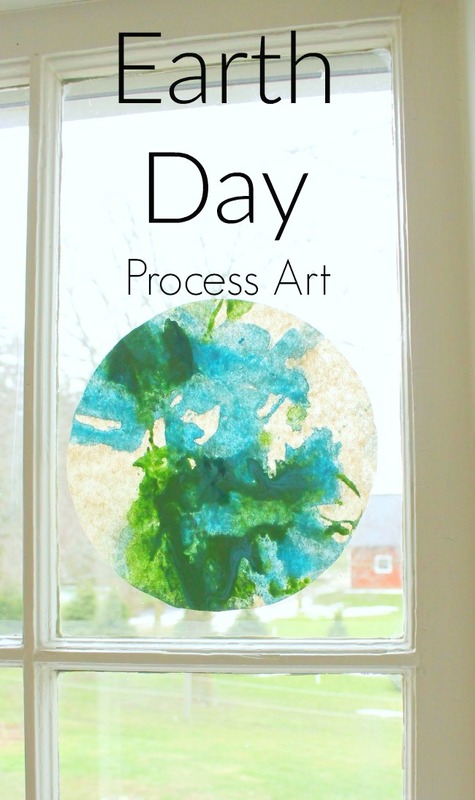 Earth Day Coffee Filter Craft If you are up for a bit of a messy craft, this colourful process art activity is ideal. 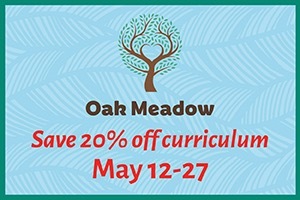 And it is a great one for Earth day as well! 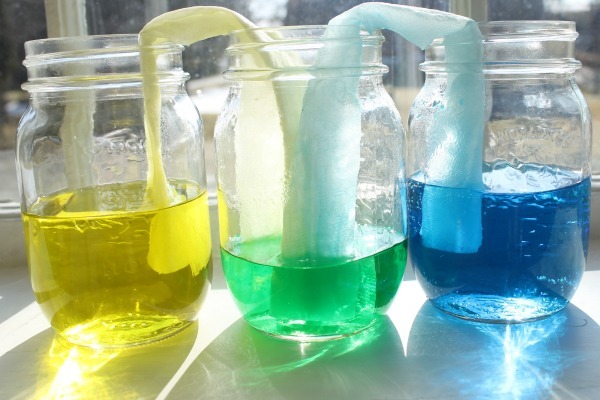 Some watered down paint and syringes make this art project a huge hit with the preschool crowd. Wild-Child Wind Spinners I can’t read this post without smiling. My little wild child is going to be 9 next month! Goodness how time flies. He still has his wild spark in the very best of ways and continues to use his beautifully creative mind in all tasks and activities. 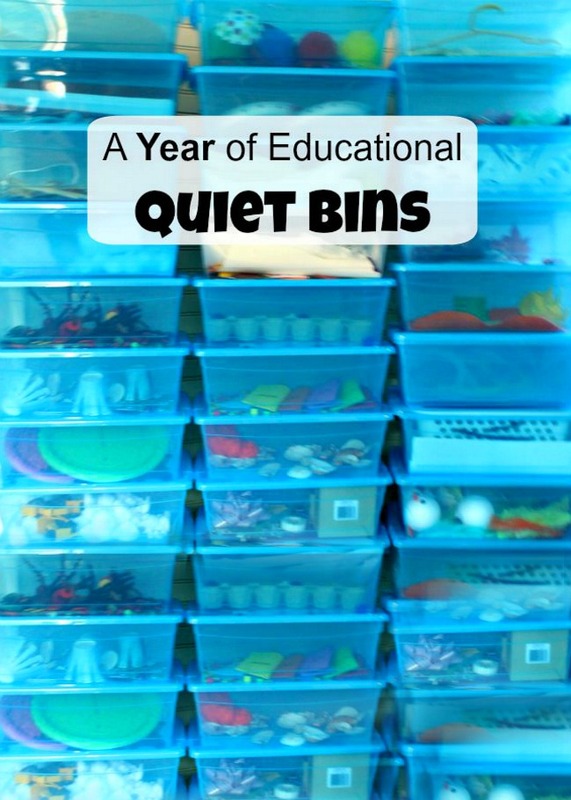 This project was the very first of many, many, many wild-child-centred art projects. 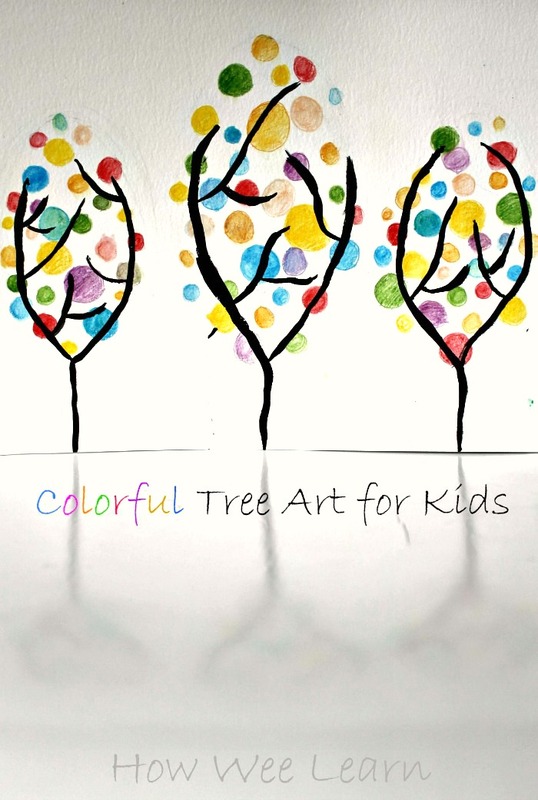 Polka-Dot Spring Tree Art Blossoming trees is one of the most beautiful things to see in the Spring, isn’t it? 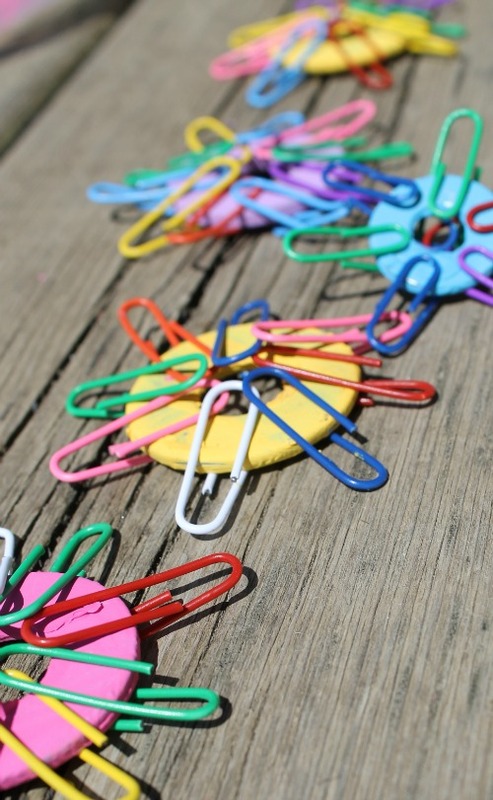 While we are waiting for that to occur, this spring art project is sure to tied us over. The more colour the better for this one! And don’t let the end product fool you, it is a great one for little kids too! Colourful Playdough Bird Nests The birds have started gathering supplies for their nests around here. Given, the real nests are not blue or purple, and there is really no reason to make them blue or purple, but … well … I really, really need the colour. 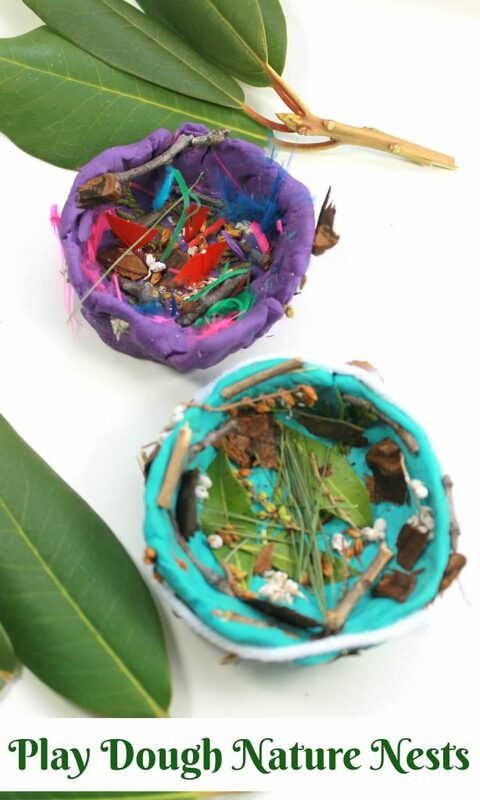 Loads of nature learning with this colourful craft too. There you have them friends! 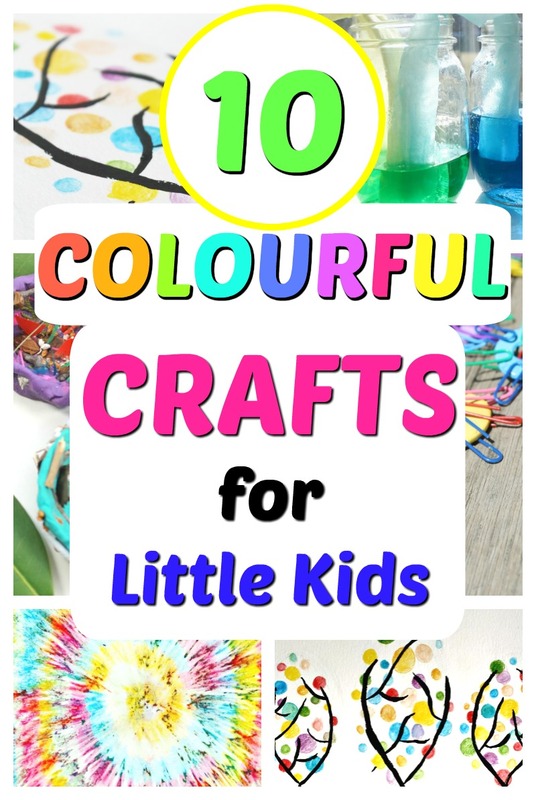 Ten of the most colourful crafts for kids to get us through these very early drab spring days and tied us over until the colour returns. I hope you and yours have found a craft just right for you to explore. Happy Spring!